This is not just another Youtube. Periscope is LIVE video streaming. Followers will be notified when you begin your broadcast. The Periscope servers will hold the video for 24 hours and then delete it from their servers. Since Twitter owns Periscope there is a direct collaboration with the broadcast and Twitter. Followers can live tweet during the broadcast to communicate with the party that is broadcasting the video. How can nonprofits maximize Periscope? Live stream your events – Periscope is a great way to showcase your events when your supporters cannot attend. That $500/plate gala dinner can now be accessible via Periscope. Your organization can have a staff member or volunteer correspondent at your next event that is in charge of showing viewers the mission and purpose of the event through interviews with guests and honorees. It is a fantastic way to share these exclusive events with your community supporters. You can even setup a hashtag in the livestream that will be broadcasted to your Twitter followers and make a gift ask during the broadcast with a link to an online donation form, similar to a telethon. Live stream your programs – Open a new channel of communication to the program officers and the people who are impacted by your mission. Give a quick tour of your facility and how your work is making a difference in the community. Broadcast important mission moments that might otherwise go unshared. Announcements – What better way to make a big announcement than to live stream it to the public. Announce that big grant you just received or a new program that was added. Maybe you need to announce the save-the-date for the upcoming gala or the winner of a contest that you hosted. Use Periscope to announce your big news live and involve your community in the excitement. Questions and Answers – Periscope allows an organization to connect to supporters in real-time. It can be used as a tool to broadcast a question and answer session with key personnel and your stakeholders. An interview with the executive director can be managed through chat function that allows followers to ask questions during the broadcast. You can even develop a series that has a different staff member or board member discussing a topic related to your mission. It is a great way to keep your supporters engaged in your activities and your overall mission. 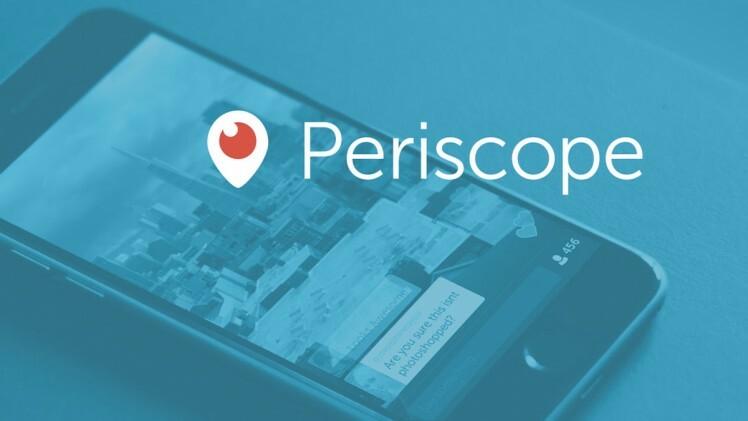 Does your organization plan on using Periscope? Let us know so we can tune in!